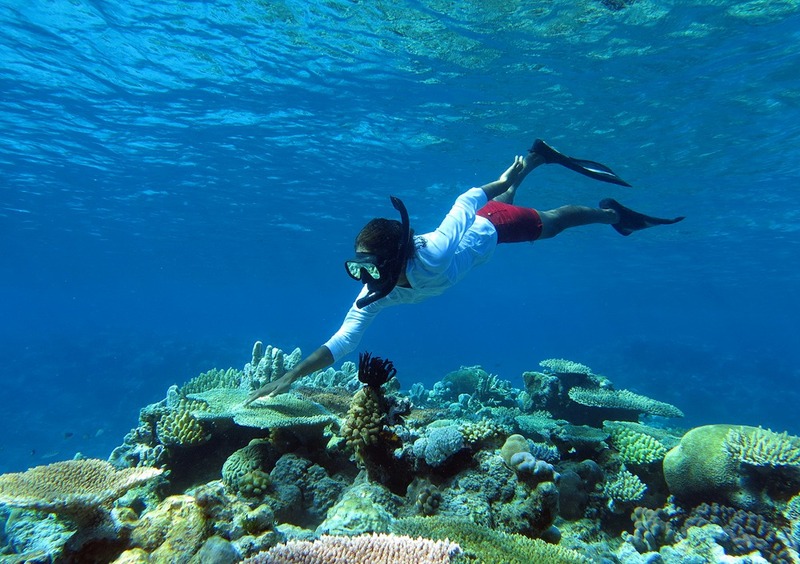 The Coral Sea Foundation aims to raise awareness of the ecological importance of the reefs of the Coral Sea, through sustainable ecotourism partnerships with Melanesian communities in PNG and Solomon Islands. 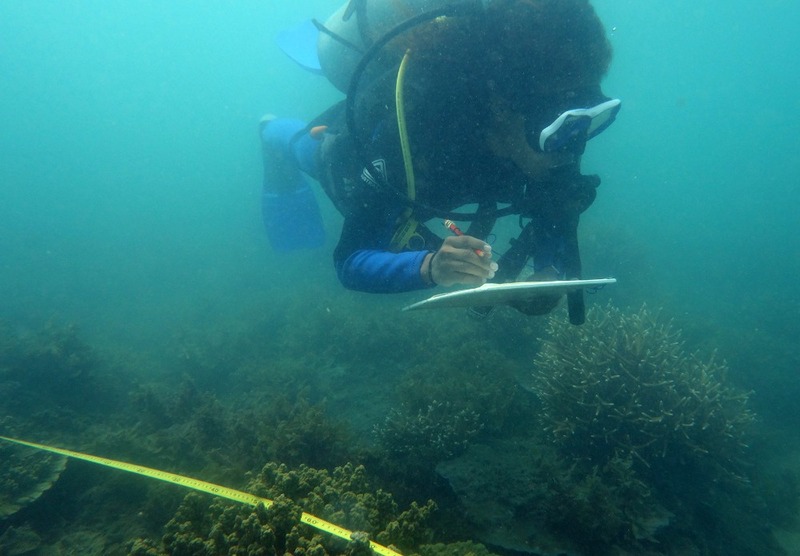 The first phase of our strategy involves selecting intelligent and determined young Melanesian women and training them in conservation theory, scuba diving and marine biology survey techniques so they have the skills to communicate the need for marine reserves to their local communities and are able to identify areas suitable for marine protected areas on their own coral reefs. 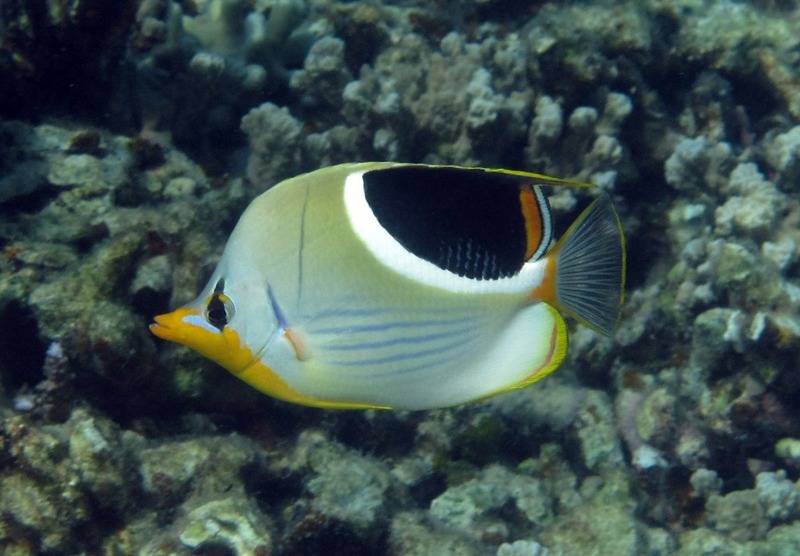 In most island nations around the Coral Sea rim, human populations are growing rapidly and there is already great pressure on coral reefs to provide fish for food. In order for the human population and the coral reef ecosystem to coexist sustainably into the future, two things must happen. First - it is vital that birthrates come down. Second - the reefs must be managed in such a way that avoids total depletion of the fish stocks. Most reefs close to villages are already over-fished, yet there are very few effective marine protected areas in Melanesia. 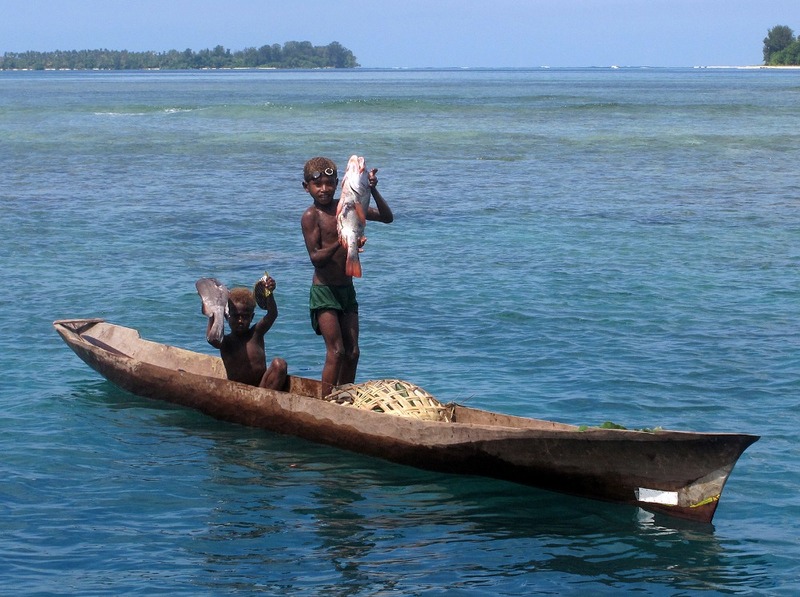 Marine protected areas can sustain fish catches even in the face of high fishing pressure, but in Melanesia it is vital that these marine protected areas are established by consensus in the community, and managed by the community members. Several UN studies have shown that educating girls and young women is a very practical way to achieve lower birthrates and positive outcomes in environmental management, along with a slew of other social benefits. 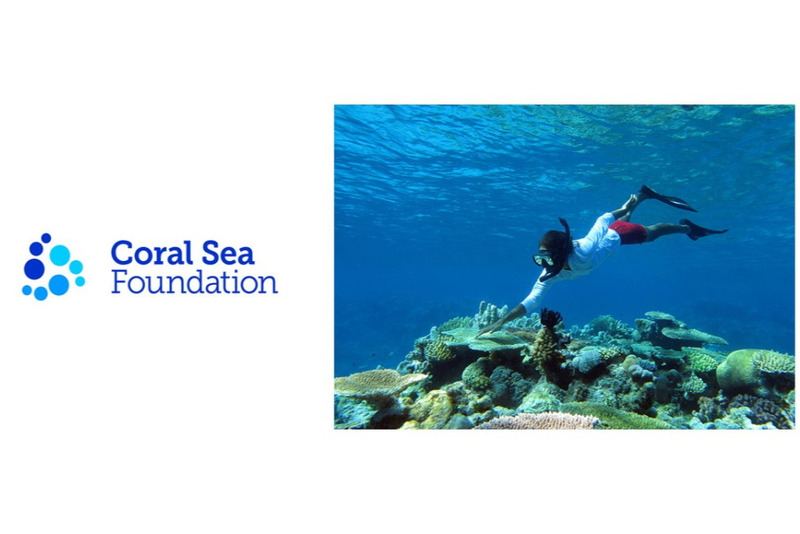 At the Coral Sea Foundation, we are committed to implementing that that strategy in a way that benefits both the people and coral reefs of Melanesia. Funds raised here allow us to bring our students to Magnetic Island on the Great Barrier Reef for direct education. 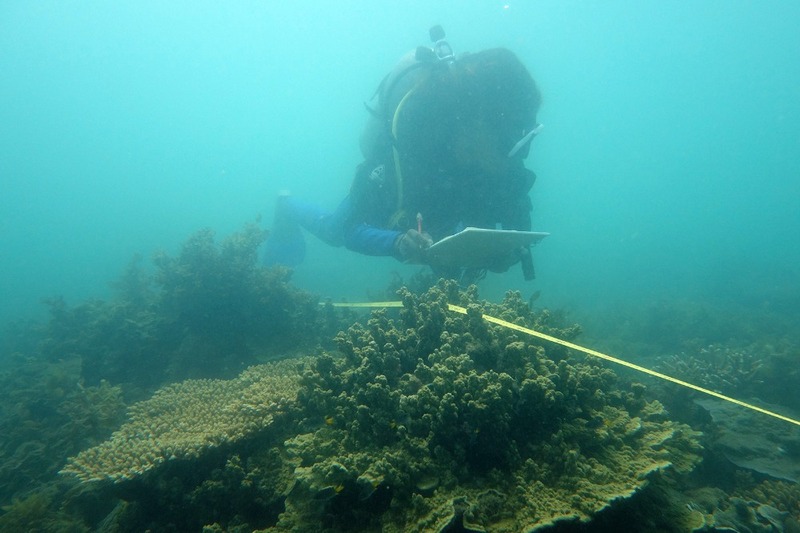 Several marine scientists on the the Foundation team are based on the Island, and it has scuba facilities and easy access to fringing coral reefs which allow an immersive educational experience and rapid, economic training. We are also using the funds to send our team into PNG to train women in country and directly engage with the local communities and encourage their participation in the marine reserve process. Our fund has already raised over $13,000 and we currently support 4 women from PNG. 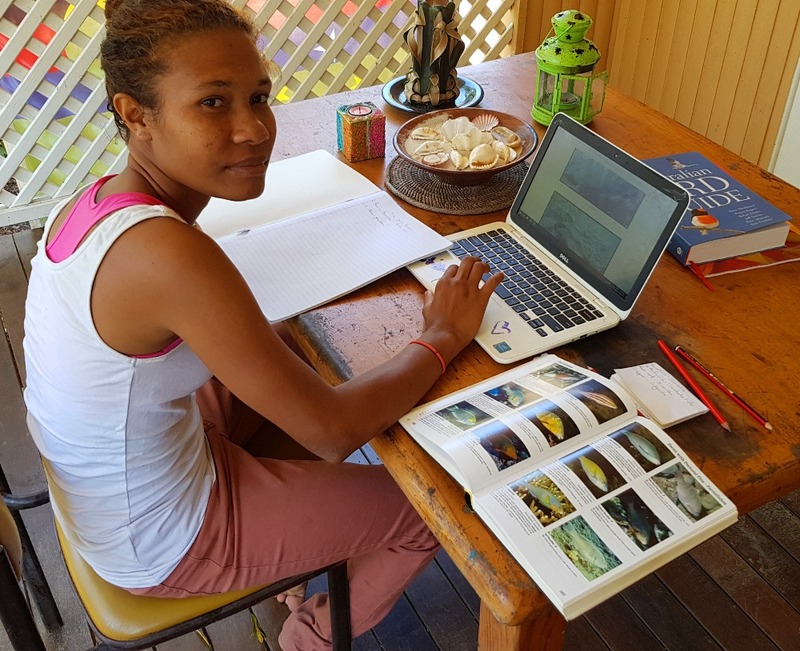 Our first student, Lorie Pipiga from Ferguson Island, completed 12 weeks of training on Magnetic Island, going from novice snorkeller to Dive Master and able to accurately identify fishes and corals and conduct underwater surveys of coral reefs. 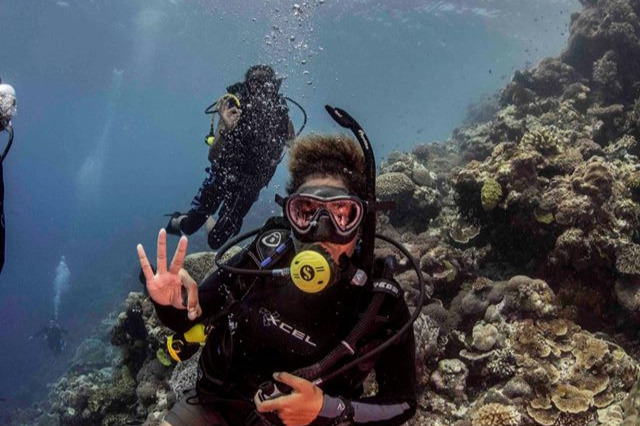 Lorie's experience was vital in securing the Nua Marine Reserve Network in the waters of Ferguson Island, which has some of the best reefs in the whole Eastern Coral Triangle. A short video of our recent expedition to Ferguson Island can be seen here - Coral Sea Visions 6 . Our two newest trainees, Martha Eimba from Alotau and Naomi Longa from Kimbe, just completed their PADI Open water course at the Conflict Islands Conservation Initiative facility in the beautiful Louisiade Archipelago of PNG. 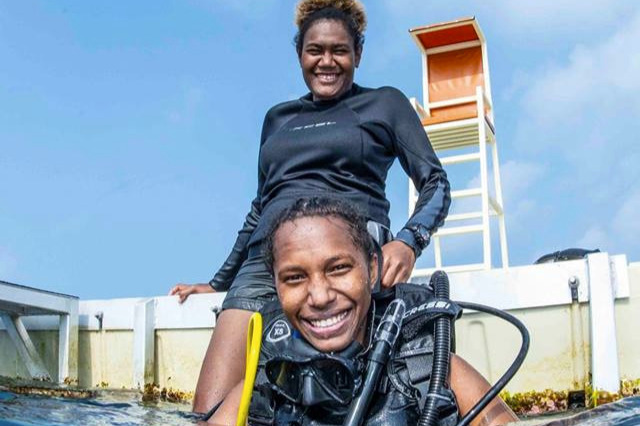 These ladies are graduates of the Biological Sciences program at UPNG, and with the additional skills they have acquired in their dive course, they are now well placed to begin effective marine conservation work in Papua New Guinea. Being underwater is surreal. The moment you become submerged it’s like you’re in outer space and everything becomes weightless underwater. It’s like looking through the rear view mirror of a moving vehicle or the lenses of a telescope into outer space but this time it’s through your masks with a kick of the flippers to propel you forward in the open ocean. I was nervous on my first open water dive at the Conflict Islands but the moment I opened my eyes underwater the whole area was teeming with life! Corals of different shapes, size and colours, colourful fish and sting rays, anemones and giant clams, sea cucumbers and turtles. 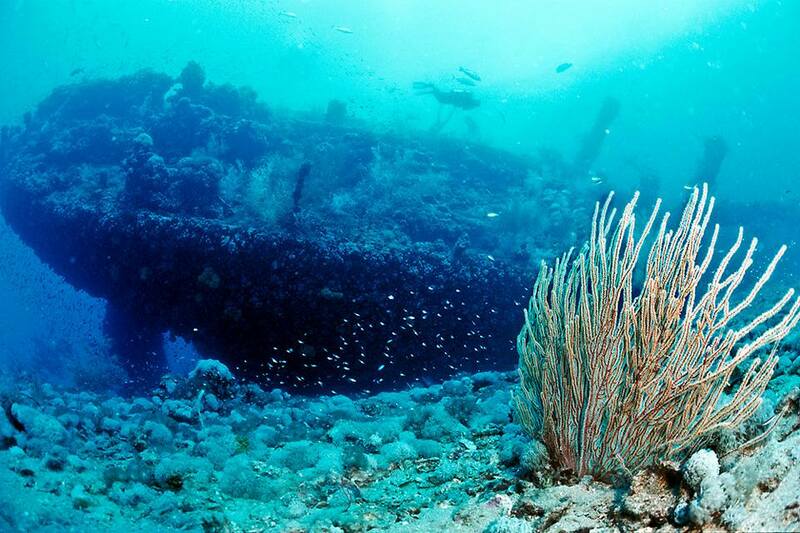 A diverse array of marine life that can rival that of a tropical rainforest. It was truly an amazing sight. One that is worth protecting! I think that you need to truly have a passion for something in order to excel or thrive in it. I love marine science and I love ocean conservation and not only do I get to see a beautiful part of the earth that many people never get to see in a life time but I can help save it. If you’re interested in marine science you should go for it, we need more people who are into marine conservation because every individual can help make a difference. A wise person once said that little girls need to see role models in whatever career they want to pursue just so they can picture themselves doing those jobs someday. You can’t be what you can’t see. I am truly grateful to be a Sea Woman of Melanesia thanks to Dr Andy Lewis and the Coral Sea Foundation team who made this dream a reality. I'm looking forward to expanding the work of the Sea Women of Melanesia in PNG and helping to protect and preserve our marine resources for the next generation. 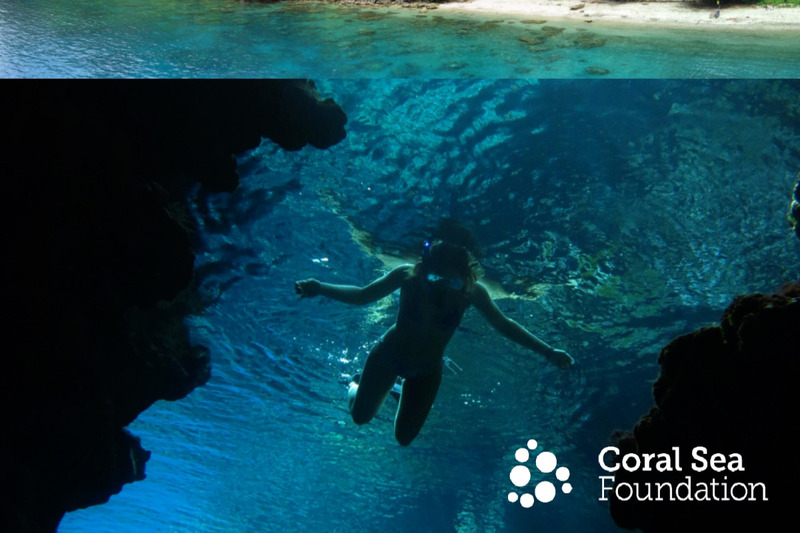 With your support we can keep this program running and make a difference to the lives of these young women and their home communities, and of course the incredible reefs and islands of the Coral Sea. How about a good news story in these crazy times? How about a growing team of people working together to train a Papuan jungle woman to be a marine biologist and rescue diver? Read on. It has been another fantastic week on Magnetic Island! Lorie, our trainee student from Papua New Guinea, made it all the way through her Advanced Open Water and Rescue Diver certifications, and capped it off with a dive to 29m at the Yongala Shipwreck! 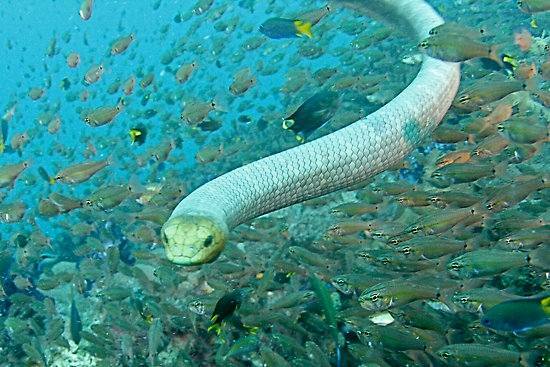 At the end of the dive she was found free-handling a sea-snake, and later said “Oh, I really love snakes”, and then told a story about rescuing giant pythons from a flooded river in PNG! Yes! A true biologist indeed. A huge vote of thanks to the Pleasure Divers instructors, Tom and Nicko, who have patiently taken Lorie right through the training and turned her into a competent diver! Divemaster next! Now that Lolo is developing good dive control, we moved straight onto underwater survey techniques, with a great first dive at Geoffrey Bay today in the marine park. We learnt about the different methods of counting fish and corals, and the use of underwater video and the incredible information it can collect. A great day with light winds and relatively good visibility, and Lorie learned an amazing amount with direct one-to-one instruction, and then a detailed review of the images and video back in the island-office. We have been blessed with excellent weather and have achieved an extraordinary amount in just two weeks, but it wouldn’t have been possible without the support of our followers. I’m elated to report that the numbers just keep growing! It is wonderful to see the snowball start rolling and realise that as a group, we can achieve great things for the planet and the other people we share it with. All donations, no matter how small, are helpful. 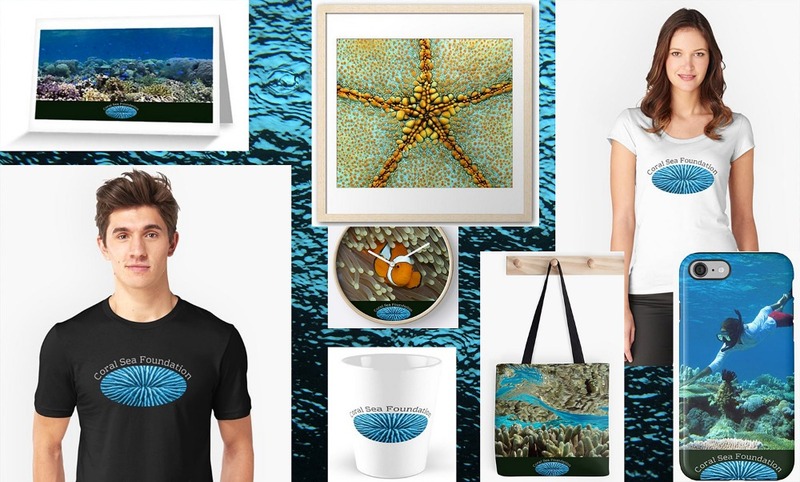 In the same tradition of mutual giving and receiving found in the Kula Ring of Melanesia, we are now able to say “thank you” to our supporters, big or small, with some practical and stylish gear featuring incredible images from the Coral Sea. So please, help us out! Share your passion for the ocean and its coral reefs, spread this post far and wide, spread the word! If you’d like to know more about who we are and what we are doing with the Coral Sea Foundation, check out our website, and follow us on social media for regular updates and great images from our Ocean Lifestyle! A week of fantastic conditions for diving on Magnetic Island, and Lorie has been powering through her reef fish identification and improving her SCUBA skills! 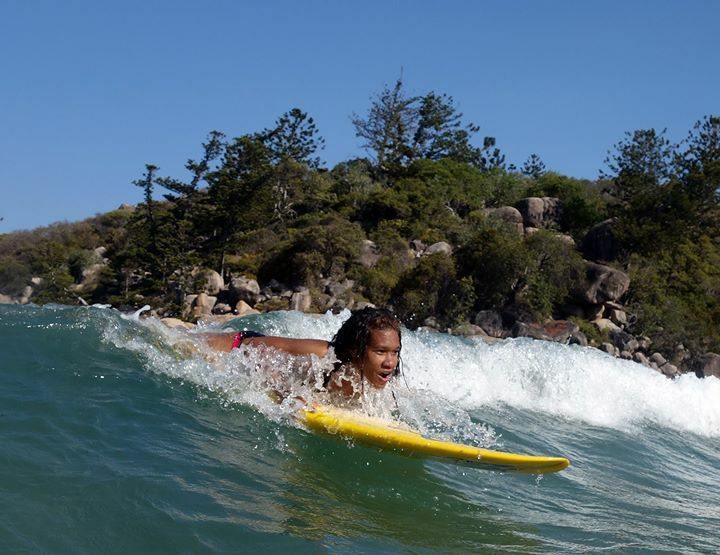 The word is spreading about the training program and the donations have continued to build, so it has been a very good week for Lorie and the Coral Sea Foundation. In the Melanesian tradition of "Give and Receive", we now have some fantastic gifts to say "Thank you so much" for your donation. We have tapped the Reef Eco Images database and printed some beautiful coral reef pix onto practical gear that you can enjoy in your everyday life, while sharing your passion for the Coral Seas of the world! Every donation will now receive a gift of thanks - fund us $35 and take your choice of a T-shirt or a sturdy tote-bag. If you can spare $50, then pick up a unique phone-case, coffee mug or a great wall calendar! It's a win-win situation - help Lorie, and help raise awareness about the amazing Coral Sea that we have on our doorstep, at the same time. (Full details on our main GoFundMe page). So please, keep in touch with our activities and share this update through your networks, so that we can continue this vital training work that is really going to make a difference In Papua New Guinea! So much deep gratitude to those that have supported Lorie's campaign so far. 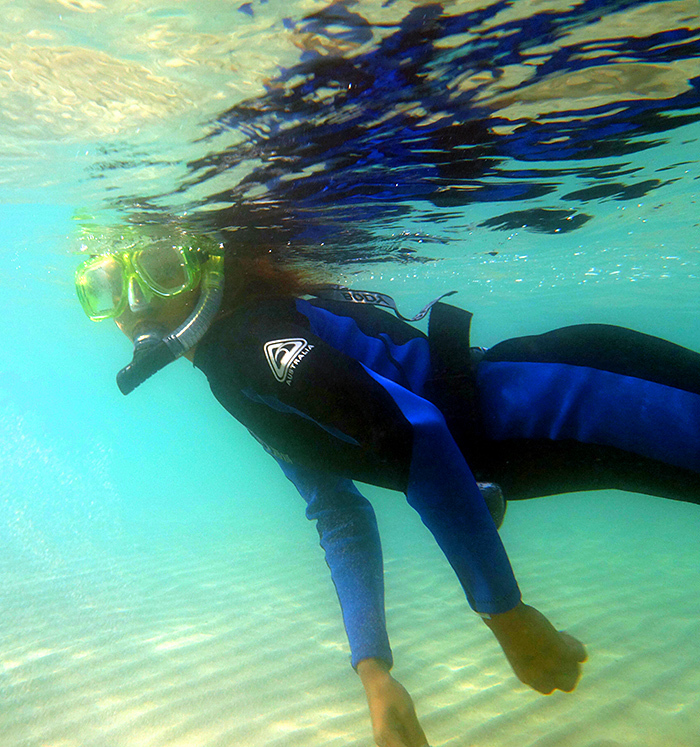 In her first week on Magnetic Island, she has completed her SSI Open Water SCUBA diving course, caught her first ever wave on a surfboard, and begun her review of reef fish ID. 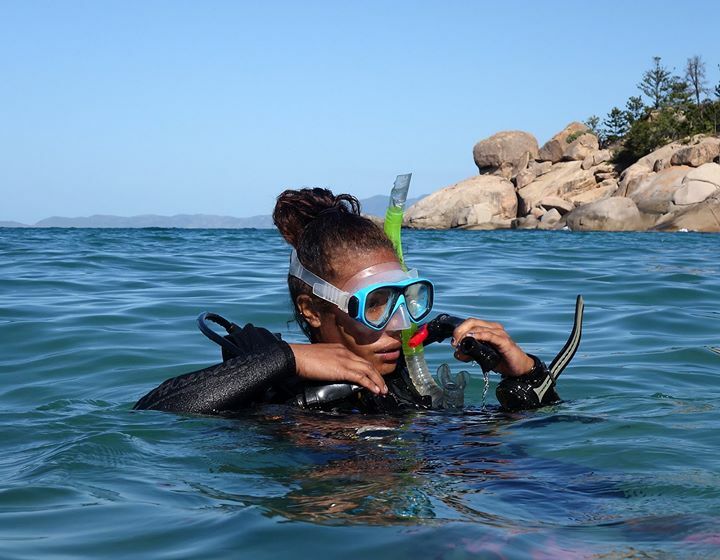 Totally fearless and up for anything, she is testament to huge potential in strong Melanesian women to achieve their educational goals and develop the skills necessary to manage their marine resources. Your support can really make a difference for Lorie and the dreams and aspirations of a whole group of young people that are keen to do something positive for the natural environment of their country. Thank you. Lorie's first ever ocean dive. Many thanks to those that have already supported our campaign to help Lorie from PNG with her dream to be a biologist! If you can spare a couple of bucks, know that it will be going to a good cause and helping some of the poorest people on earth equip themselves with the knowledge they need to preserve their natural environment.